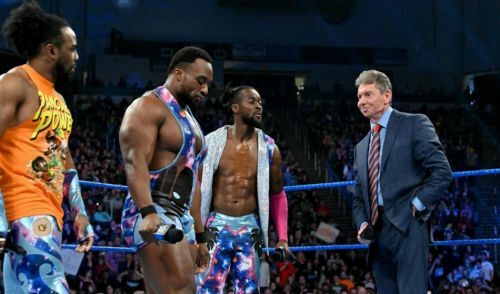 This past week on WWE SmackDown, Kofi Kingston was tricked out of another opportunity to face Daniel Bryan at WrestleMania 35, by Vince McMahon. The WWE Universe is irate but WWE commentator Tom Phillips has an idea that could help Kofi Kingston get that match. After winning a gauntlet match where he defeated five men, Kofi Kingston thought that he had finally got his WWE Championship match at WrestleMania 35, only for Vince McMahon to throw a curveball, as he said that Kingston had to defeat one more person - Daniel Bryan, to get his title opportunity. But Kingston lost to the WWE Champion, and his title opportunity. In an interview with Busted Open Radio, SmackDown commentator Tom Phillips was asked by WWE Hall of Famer Bully Ray if he would join an "Occupy RAW" like movement to support Kofi Kingston. Back in 2014, Bryan, along with fans, occupied the ring to get what he wanted - a match against Triple H at WrestleMania. Phillips spoke about the Kofi Kingston situation and revealed if he would join in a protest to help Kingston get what he deserves - a match against Daniel Bryan at WrestleMania 35. “Man, what a showing that would be. As I said, the McMahons run the show and the company. Standing up against them is, you know, do you care about your paycheck more than your friend? We'll hear more about the Kofi Kingston storyline on next week's SmackDown, which will be the penultimate one before WrestleMania 35.